Thanks to reader Eva for emailing me this find. Pedro Garcia's Geri glitter flats retail for $266 (original retail $380) at Zappos Couture. 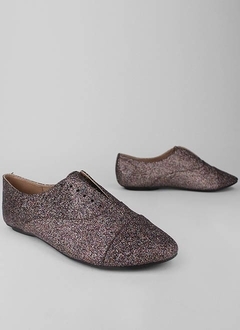 Go Jane has a similar pair of glitter oxford flats, retailing for a budget friendly $16.30. They also come in silver or gold and you can click HERE if you're interested in purchasing.